I love books about witchcraft and wizardry. This sounds particularly interesting since it sounds like the wizards are both good and bad guys. 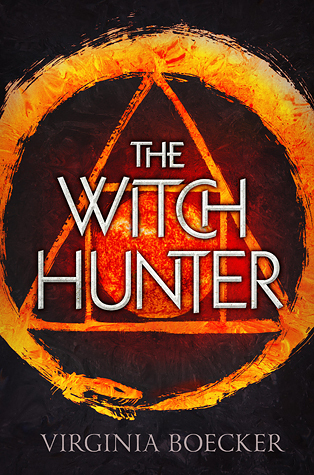 Elizabeth Grey is one of the king's best witch hunters, devoted to rooting out witchcraft and doling out justice. When she's accused of being a witch herself, Elizabeth is arrested and sentenced to die at the stake. Salvation comes from a man she thought was her enemy. Nicholas Perevil, the most powerful wizard in the kingdom, offers her a deal: he will save her from execution if she can track down the person who laid a deadly curse on him. As she's thrust into the world of witches, ghosts, pirates, and all-too-handsome healers, Elizabeth is forced to redefine her ideas of right and wrong, of friends and enemies, and of love and hate. Ooh nice! Been seeing a lot of this one around lately! I'm somewhat intrigued with it as well! Hope you love it once you read it! Love the cover of this one, but I'm not a huge witch story fan. If it's good though, I might give it a try. I saw this one last week on WOW posts....it looks good! Here's my WOW if you'd like to stop by! Sounds like a great book. Thanks for sharing this.